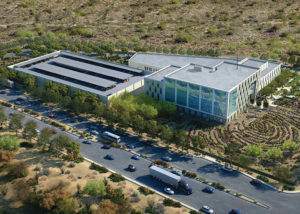 This office building is owned and operated by Ryan Companies and leased to the U.S. General Services Administration for use as the Phoenix Regional Federal Bureau of Investigation campus. 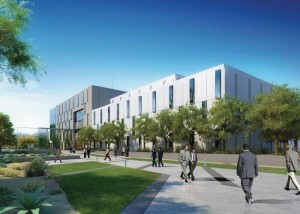 The campus consists of several structures including a 5-story office building, a visitors screening facility, an annex building and a 2-story parking structure totaling over 300,000 square feet. 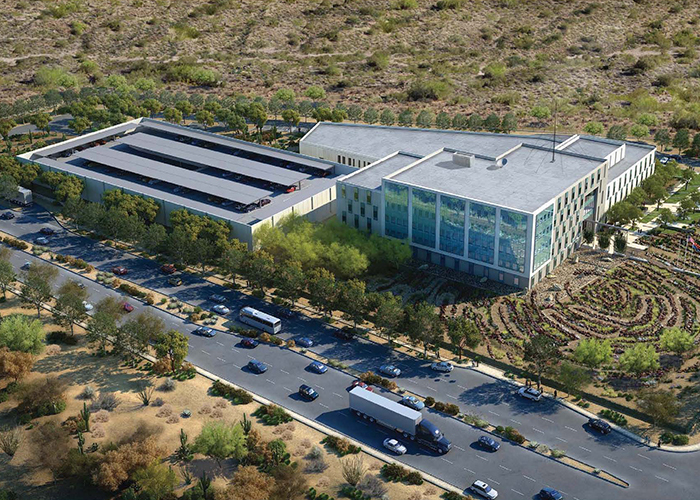 The central office tower and support buildings are subject to both modern blast design and progressive collapse design criteria as prescribed by the security programs of the General Services Administration. The building’s primary structural frame is composite metal decking with concrete topping and braced steel frames. Walls are cast-in-place concrete tilt panels. 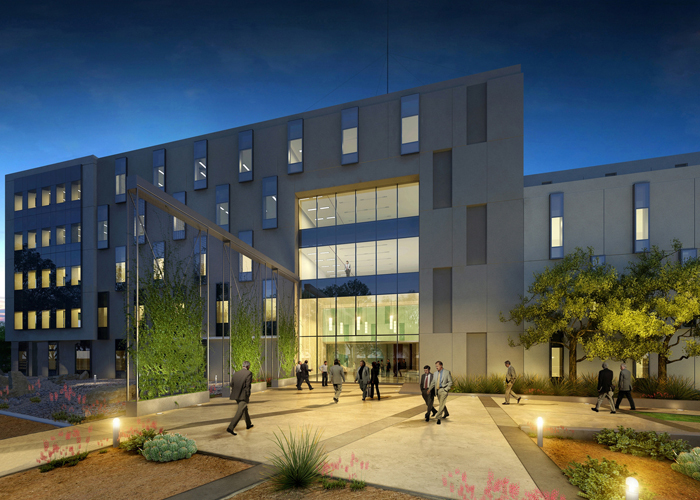 The project was designed using Revit modeling software to interact three dimensionally. Additionally, MBJ and IPD partner and steel detailer LTC, Inc. used Tekla Structures to optimize the structural steel shop drawing creation and submittal process which assisted in reducing the steel procurement and overall building schedule by 54 days. This building was operational ahead of schedule and under budget. Project design started in late 2009 with construction ending in Fall of 2011. The project was awarded a LEED Gold rating.